Bed Bugs use to live only in what seemed to be an archaic saying, “Sleep tight! Don’t let the bedbugs bite!” Most people probably thought bed bugs didn’t really exist but that the saying was just a silly saying referring to a made-up creature. But, as the last 15 years has taught us, the bedbug is alive and thriving throughout the country. It is believed that bed bugs have fed on the blood of humans for millennia, dating back to the days when people lived in caves and bedbugs, often a parasite on bats, discovered that they could thrive in areas populated by humans. Bed bugs are known to have been a part of life in ancient Egypt. They are noted in writing of ancient Greeks and Romans, and surely they made life miserable for the people of all time periods since then. Their modern demise came with the use of DDT, chlordane, and diazinon, but the side effects of these toxic chemicals brought about their banning by the Environmental Protection Agency. It gives only a little comfort to those who are enduring bed bug bites to know that, while the bites are irritating, the bite of the bed bug is not known to transmit any virus or bacteria. The bites of bed bugs are often mistaken for mosquito bites, but beg bug bites tend to be clustered in one area or in a line, instead of spread out as mosquito bites often are. The bits initially produce a red raised area that becomes itchy and sometimes swollen and sore. Some people get allergic hives at the bite location. The red marks can last up to two weeks. While true, dangerous allergic reactions are rare, people who have often been bitten develop anxiety and insomnia. If you scratch the welts open, they can become infected. Treat your bites with a topical anti-itch cream or take an oral antihistamine. If you have been experiencing mysterious bites that sound like the bites described above, you may want to do an inspection of your bedroom and see if you find other signs of a bedbug population. Bedbugs like to hide during the day so when you are looking for them, they are likely going to make themselves hard to find. To spoil their plans, you’ll have to insect tiny cracks and crevices in your bed, nightstand and other furniture near your bed. You should also look at the seams of your mattress since they are small enough to hide in the smallest crevices. 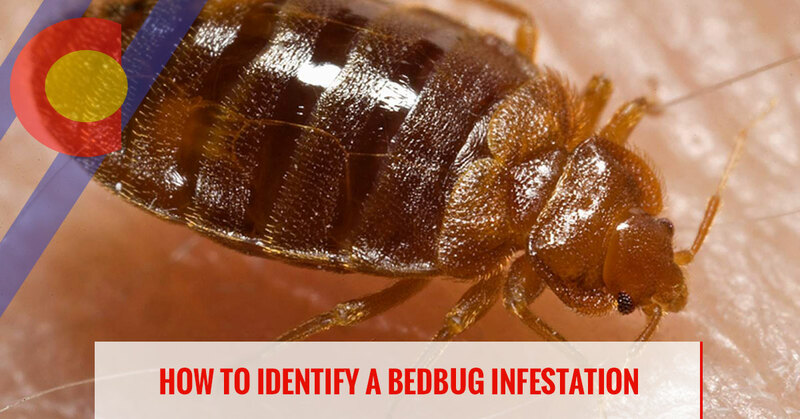 You’ll need to know what you are looking for to know for sure if you have bedbugs. One thing to look for is red smears on your sheets where they have been biting you, and small amounts of your blood have gotten on the bed. If you see tiny black dots on your bed, or for instance, in your nightstand drawer, these are their droppings, a sure sign they are well-fed. The last thing that you might see is the little beasts themselves. They are very small. An adult bed bug is the size of an apple seed, but as they go through five stages of life before they reach adulthood, the smallest size is more like the size of the tiny strawberry seeds you see on the outside of a strawberry. Don’t beat yourself up if you find yourself dealing with a bed bug infestation. If you, or someone in your home, has recently traveled, they could have easily brought the bedbugs home with them. Remember that some of the fanciest hotels in the world have dealt with an infestation, so you can bet that the rich and famous took them home with them too. In fact, if you have bed bugs you at least know you have something in common with pharaohs, queens, and kings throughout history! Bedbugs are infamous stowaways. You need just one pregnant lady bedbug to hide in your makeup bag or suitcase to introduce them to your home. You may not even know you have them until they are a real problem. Now that you know how a bit more about bed bugs, including how to identify the bites and to spot the evidence of a population, the next step is to take steps to get rid of them! Read the next blog <LINK> in this series to learn how Integrated Pest Management from Colorado Pest Management can get rid of these horrible beasties!